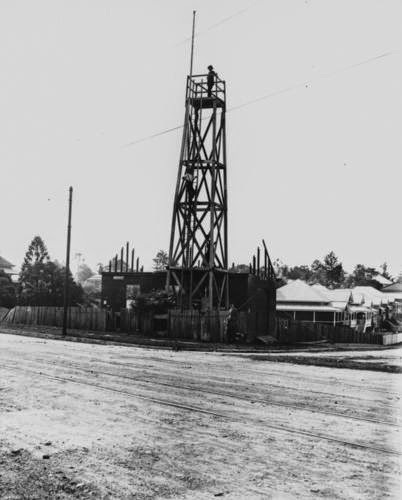 The origin of organised fire-fighting in Brisbane was, naturally enough, as the result of a fire. 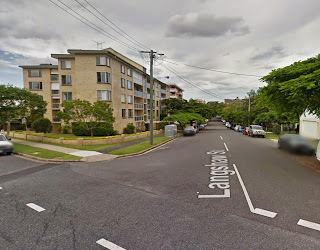 It occurred in a cabinet maker's workshop near the corner of George and Elizabeth Sts in 1860. This blaze was contained only by the efforts of police and citizens who helped voluntarily. 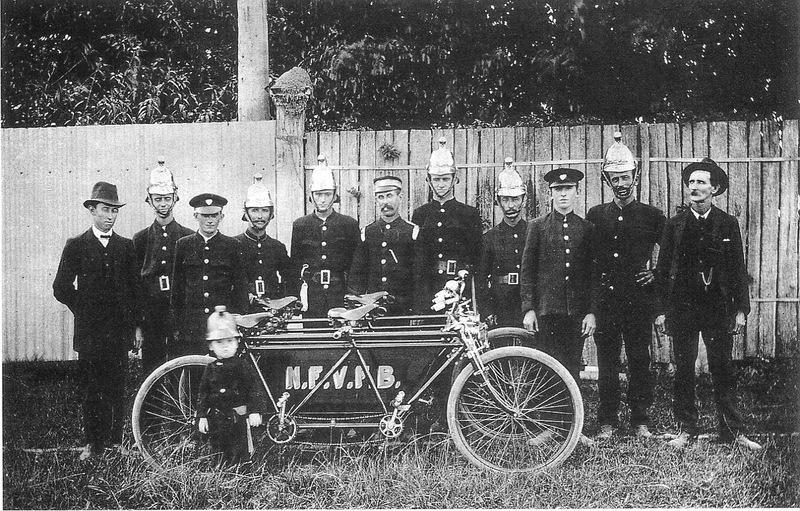 A fledgling fire brigade was formed afterwards, but had difficulty maintaining resources and was soon disbanded. Fortunately, future attempts gained better traction. 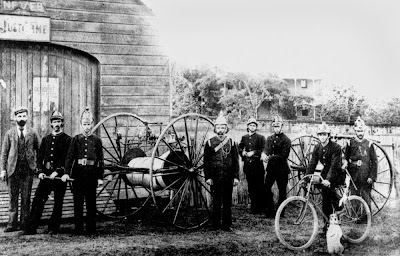 The near-city suburb of New Farm created its own voluntary fire brigade in 1889. There was a sawmill down by the river at Moray St that was obviously considered to be a fire risk and that business, James Campbell & Sons, provided some nearby land for the erection of a fire station - it was completed by December of that year at a cost of £50. The original equipment consisted only of two hand-drawn hose reels. 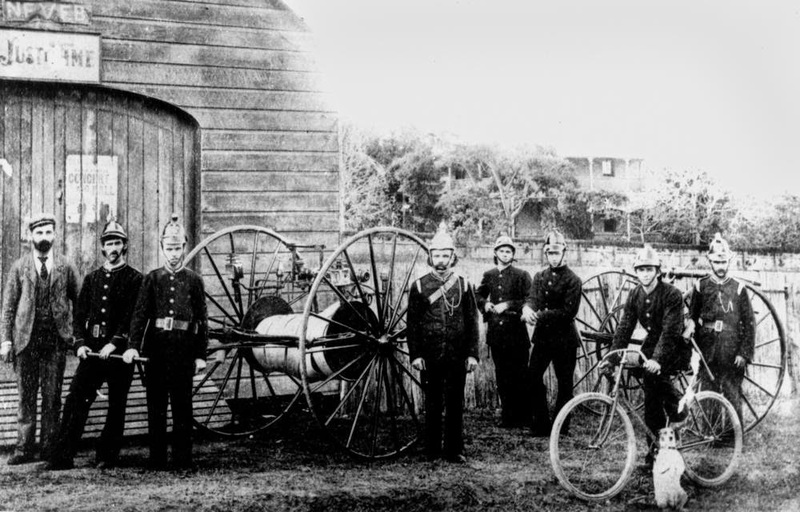 The following undated photograph shows the men of the brigade with their rudimentary equipment. The fire station was situated on the corner of Moray and Langshaw Sts, advantageously close to the industrial section of New Farm. The disadvantage though, was that these businesses were close to the river in a low-lying area. 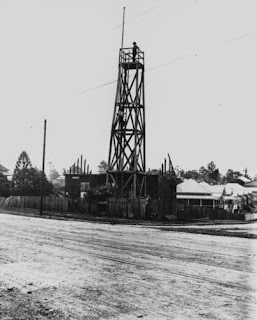 The solution to this issue was the building of a tower with a lookout and bell to provide greater coverage of the suburb. And here is a photograph of the former site of the tower as it is today. 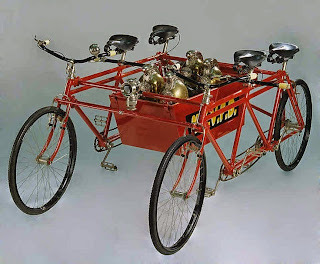 The fire station moved to a much higher and more central spot in Heal St around 1903 and in 1912 the brigade updated its equipment - a quadricycle built by Howards Ltd that was rigged up as a pedal-powered fire engine. It had a box that contained fire fighting equipment, could tow a wheeled hose reel and could transport four firefighters. The quadricycle still exists - it is held at the Queensland Museum. 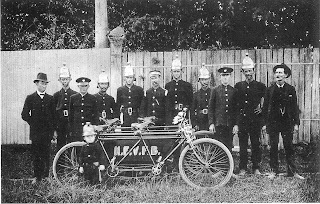 The New Farm Fire Brigade was a voluntary organisation through to 1922 when members started to receive payment for their service. Ironically the New Farm brigade disbanded in the following year. The fire brigade is now centralised, so the old methodology of separate brigades in different suburbs is long gone. However the volunteering tradition lives on. Queensland has some 35,000 rural volunteers and a further 6,000 State Emergency Service volunteers. All our firefighters deserve our respect and our thanks.